Have you found a blogging group? Blogging is hard work! You are working to grow your blog, spending precious hours to write posts, create images, and promote your content. Yet, you are finding that it is really difficult to market your blog alone. Rather than giving up on your dreams, find out 5 ways being part of a group can save your blog. As part of the Homeschool Blogging Connection team, I’m posting over at Homeschool Blogging today! I’ve got a list of the reasons a blogging group is my number one resource for effective blogging. Check it out and let me know what you think! 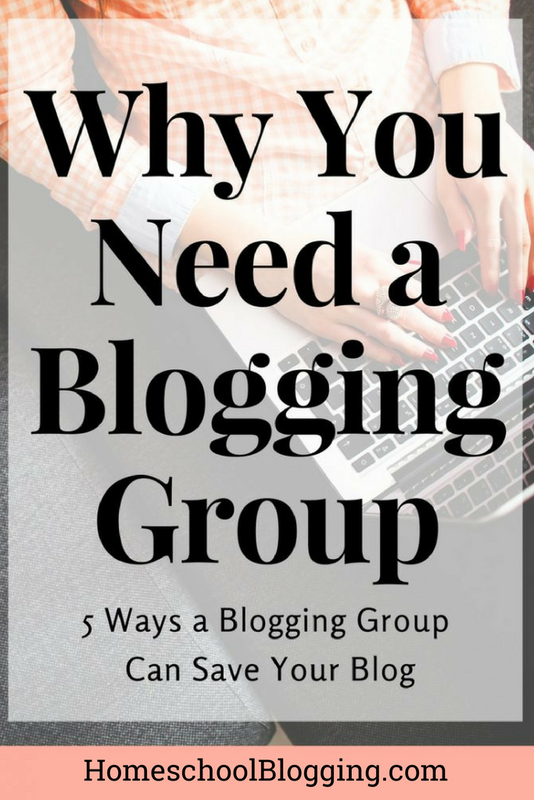 Click here for Why You Need a Blogging Group.